These Pictures From Yeh Rishtey Hain Pyaar Ke Launch Will Make You Go Awww! 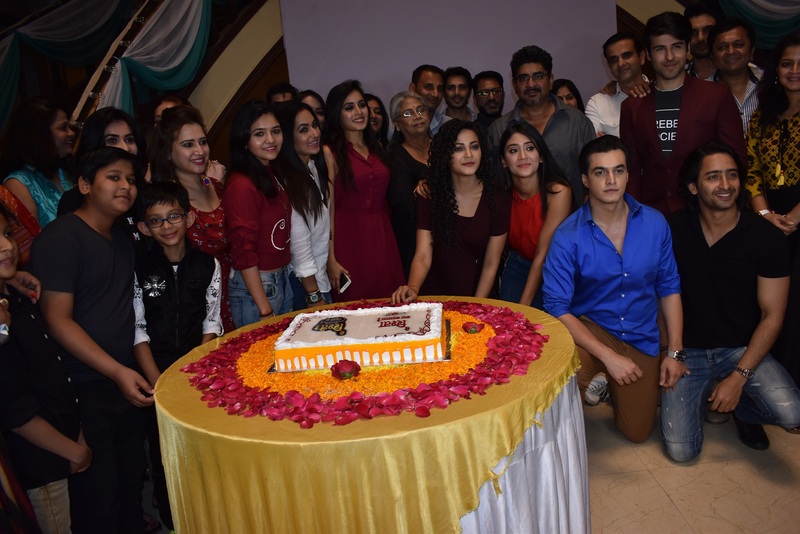 Yeh Rishta Kya Kehlata Hai is a show that has been loved by people and now the producer-director Rajan Shahi has come up with its spin off! Yeh Rishtey Hain Pyaar Ke went on air last night on Star Plus. While we will keep our comments on how we find this new show for our review that will be going live shortly, but we do have some fresh pictures from the launch party. The lead star cast of both the shows YRHPK and YRKKH which includes Shaheer Sheikh, Rhea Sharma, Mohsin Khan and Shivangi Joshi respectively were present at this party. They celebrated the milestone along with Rajan as well as his mother Deepa Shahi. Also Read : Yeh Rishtey Hain Pyaar Ke : Dheere Dheere Se Meri Zindagi Mein Aana – The New Love Anthem For Abir And Mishti? “It is great to see the cast of both shows together. It is a great moment for Director’s Kut Production,” said an elated Rajan, while Shaheer said, “Everyone has great expectations from the show and I am sure they will love it. The unique part of working in this show is that I feel like family here”. Other celebs who graced the event included Kaveri Priyam, Ritvik Arora, Deblina Chatterjee, Trisha Chatterjee, Roopal Patel, Deepak Gheewala, Shehzad Shaikh, Mohena Kumari, Sachin Tyagi, Samir Onkar, Pooja Joshi, Chitrali Gupte, Sangeeta Kapure and Amal Sherawat. Yeh Rishta Kya Kehlata Hai : Check Out Kartik And Naira's Mehndi Ceremony Pictures!